In a blog post on Steampunk Architecture that I wrote almost three years ago (and which has consistently been one of my more popular posts), I included a picture of the Armour Steiner House in upstate New York which has the distinction of having an octagonal floor plan. Prompted by a post in the always interesting website Atlas Obscura, I looked around for more examples of these unusually shaped buildings. And it turns out there’s an interesting story behind them. From the always entertaining and informative website, Atlas Obscura (if you’re not already reading it, you really should be…) comes the story of a sunken steamship that was discovered in the middle of a corn field in Missouri. How the steamboat Great White Arabia ended up in the corn field is only half the story (the Missouri River shifted course, leaving it on, or rather under, dry land). Some of the crockery excavated from the hold of the Arabia (Photo by Wikimedia user Johnmaxmena2). The amazing part of the story is the amount and variety of immaculately preserved cargo found on board. The Arabia was on its way upriver loaded with all the sundry items required for life on what must have been not too far from the American western frontier when it sank in 1856. Because the ship and its cargo has spent most of the time since underground and not underwater, they have been amazingly preserved. The team that discovered and excavated the steamboat have opened the Arabia Steamboat Museum to display some of the 200 tons of cargo excavated before the field had to be replanted with corn. If I’m ever in that part of the country, I think it would be an extraordinarily interesting museum to explore. Before there were MP3 files, before CDs, before vinyl, there were waxed cylinders upon which were stored the faint tracings that could be replayed as sound. Thomas Edison patented the first phonograph in 1880, and cylinders maintained their popularity until the 1910s when discs began to outsell them. The University of California, Santa Barbara has archived and digitized over 10,000 of these cylinders and made them available on the web. Rummaging through the collection gives a real taste of the turn of the (last) century. Most of the cylinders contain music. If you like marches, this was the time of John Philip Sousa. There are also some recordings of important speeches of the day, including several by Theodore Roosevelt, and a description of his journeys in Antarctica by Ernest Shackleton. Personally, I’ve used these recordings to give a bit of ambience as background music in a historic house museum I’m involved with. Most people don’t notice it, but it lends a bit more authenticity to the experience, I find. And I’ve spent a fair amount of time just perusing the archives, listening to the sounds of ghosts from the past. 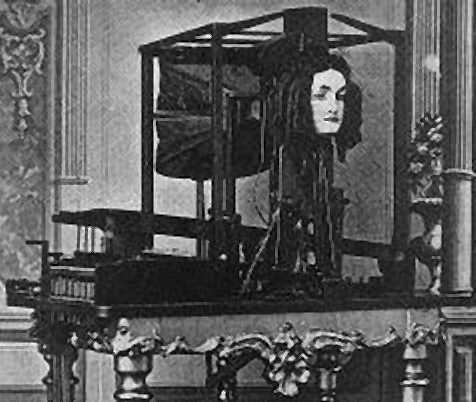 Written mention of machines built to imitate human speech date as far back as the 13th century. Early devices, however, were deemed by the Church to be heretical and were often destroyed (in one instance, it is written, a talking device was smashed by St. Thomas Aquinas himself) or at least kept out of the public eye. It was not until the 18th century that the social climate was willing to permit the creation of mechanisms that imitated human elocution, safely protected under the umbrella of scientific pursuit. I’m the first to admit that I know little about sewing and almost as little about details of Victorian fashions, but I am keen on dispelling myths about the past, especially those that are endlessly repeated on the Interwebs or, even worse, by docents at historic homes and museums. So, I found this article on myths of corsets both entertaining and informative. Now, as a proper Victorian man, I wouldn’t be expected to know anything about corsets for the most part. But as an improper Steampunk man, well, Steampunk women wear their corsets on the outside, so they’re not as hidden as they would otherwise be. The article busts (see what I did there?) the myths of corsets and how they were supposedly worn using actual measurements of historic garments, and explaining how the illusion of the hourglass figure was created. So the next time you come across an expert telling you about 18-inch Victorian waists and removing ribs and pushing organs around and the origin of the fainting couch, you’ll know better. One year ago today, I took my first tentative steps into this thing called “blogging”, and it has been an interesting year indeed. I named the blog “Airship Flamel” after the airship that features in my steampunk novel “To Rule the Skies”. As I was finishing up editing that book, I found that I had accumulated so many interesting stories and historical tidbits while doing research on the time and culture (Victorian). Writing a blog seemed the best and most fun way of writing some non-fiction as well. The most popular post has been “Did Mark Twain and Charles Dickens ever meet?” which I published back in October and has been read 299 times. While I found it very interesting to ponder that question myself, the post wasn’t very popular at first, but then really took off in the spring. I wonder if a teacher somewhere had given the question out as a essay topic. Before then, my most popular post had been “The Colors of the Past” which examined how poorly early photographic plates recorded different colors, so that we really can’t always be sure what color objects are in period photographs. In September, my novel was published both as an e-book and as a hard copy. 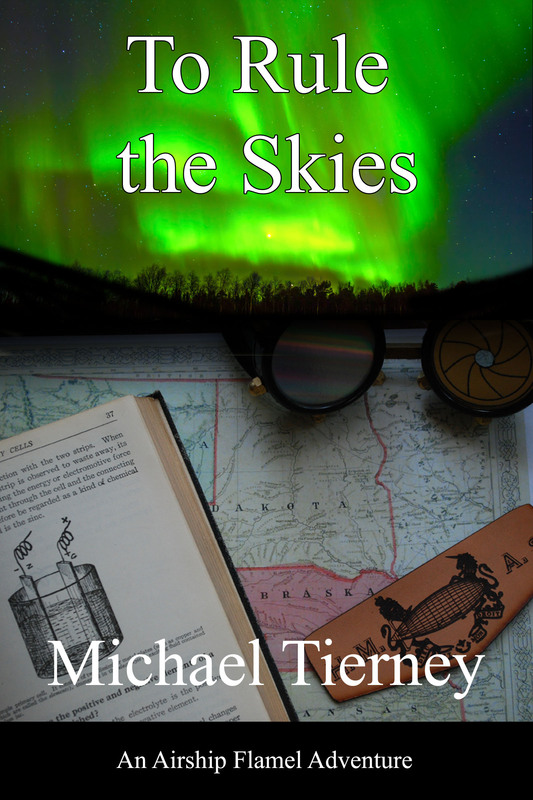 The second book in the Airship Flamel Adventures series is currently in draft form and my goal is to have it completed by May, 2016. In December, I previewed Christmas with the Twelve Days of Steampunk Christmas posts which were re-tweeted by Airship Ambassador which generated much traffic to the blog. They’re still being read almost every day. In February, I started a new full-time job, which definitely put a dent into the time I had to write. I’m starting to get the work-life, or rather, work-write balance back on a more even keel, so I predict more regular blog posts in future. Most of all, I’d like to recognize some of the blog posts that pop up in my reader from some very talented and interesting writers. Cogpunk Steamscribe gives an always interesting take on steampunk and writing from Down Under. I don’t know how many times we’ve reblogged each other’s posts! Another favorite is For Whom the Gear Turns which posts about Steampunk, London, and Making. Mr. Lee Jackson, a prodigious tweeter, is the author of The Dictionary of Victorian London, an excellent resource for anyone doing research (or just curious) about just about any aspect of Victorian London. His recent book, “Dirty Old London: The Victorian Fight against Filth” is on my to-read list. Finally, for the 4,481 times that someone has come to my blog during the past year, I hope that I have educated and entertained, and promise that I shall endeavour to continue to do so.